Somebody once told me the world is gonna roll me. I ain't the sharpest tool in the shed. She was looking kind of dumb with her finger and her thumb. In the shape of an "L" on her forehead. 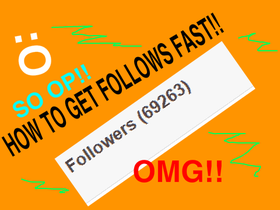 omg I found a glitch to get millions of follows! !